This computer features a Quad Core Intel® Core™ i7/ i5/ i3 processor and a DDR3 or DDR3L dual channel with up to 16GB memory. 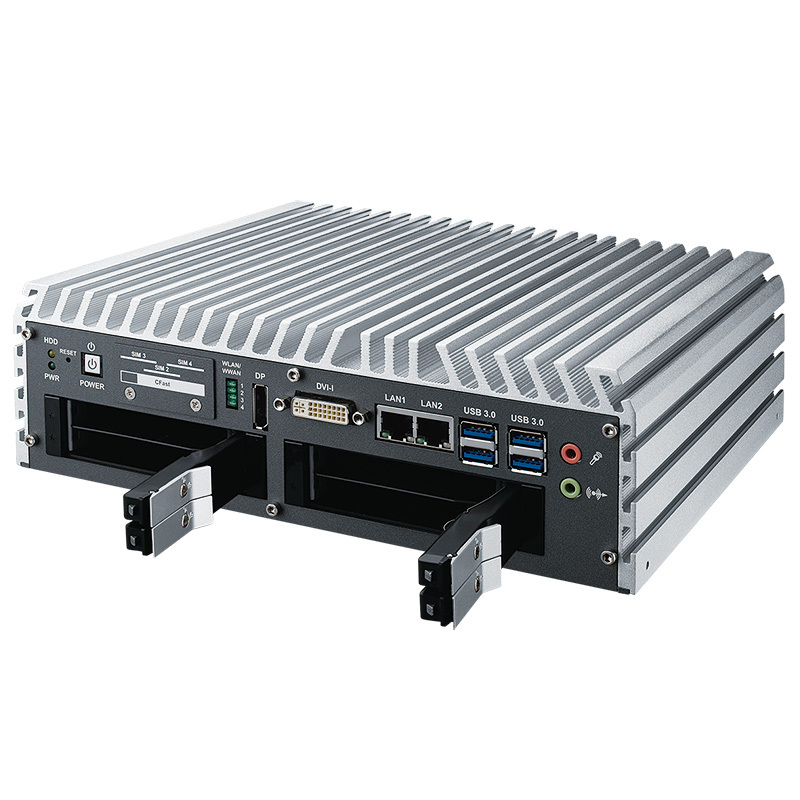 It also boasts Intel® HD 4000 graphics in addition to DVI-I, DisplayPort, and dual channel 24-bit LVDS triple independent displays. 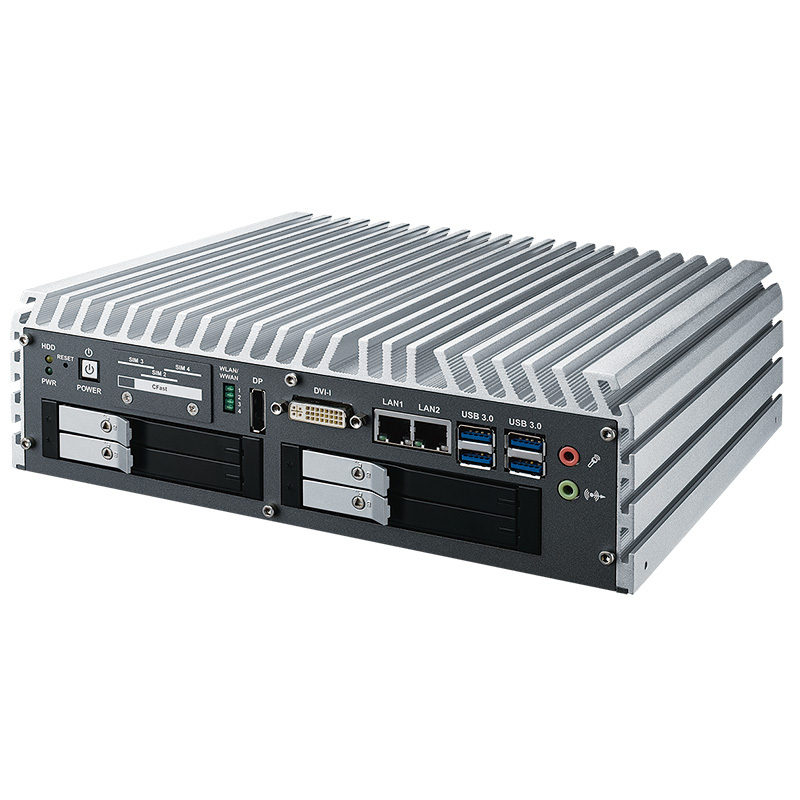 The IVH-7700-QRD offers four front-access 2.5” SSD/ HDD trays, four GbE M12 PoE+ ports, dual GbE LAN ports, four Mini PCIe slots, four SIM card sockets (three front-access, one internal), and four USB 3.0 ports with independent controllers. 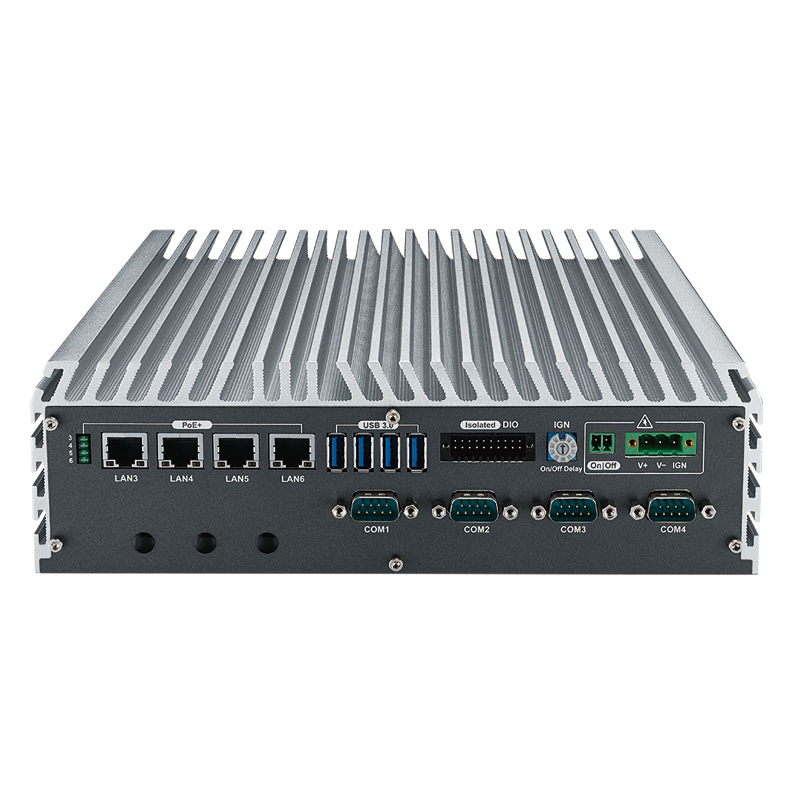 It is also comprised of a 6V to 78V wide range power input, smart surge protection up to 200V, configurable ignition power control, UPS, 16 isolated DIOs, a fanless design, and -25°C to 70°C operating temperatures. 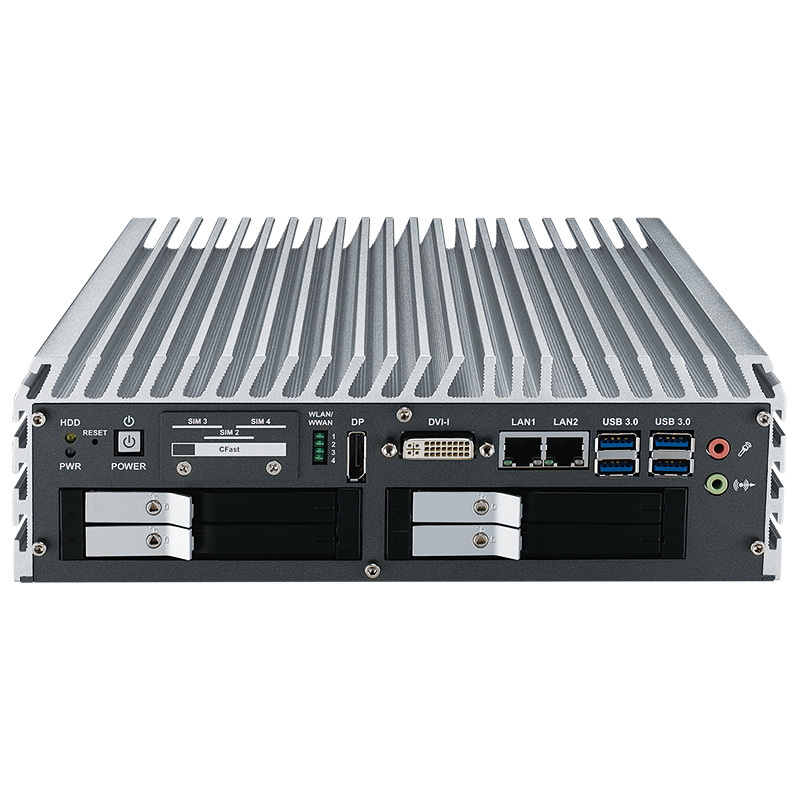 The IVH-7700 Series In-Vehicle Fanless Embedded System delivers excellent system performance for all in-vehicle critical mission applications.